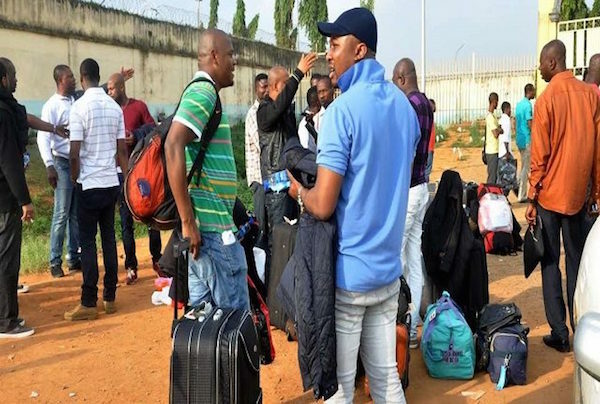 Cameroon sends Nigerians packing – Royal Times of Nigeria. (dpa) Cameroon has deported 100,000 Nigerian refugees in the hope of stemming the spread of terrorist group Boko Haram, Human Rights Watch (HWR) said on Wednesday. Boko Haram had posed steady threat to communities in north-east Nigeria and launched offensives in neighbouring Cameroon, Chad and Niger. The group’s goal is to enforce strict interpretation of Islamic law, known as sharia. Since 2009, tens of thousands of people have died in the hands of Sunni fundamentalists in the region. According to the UN, an estimated 2.7 million people fled their homes due to Boko Haram.